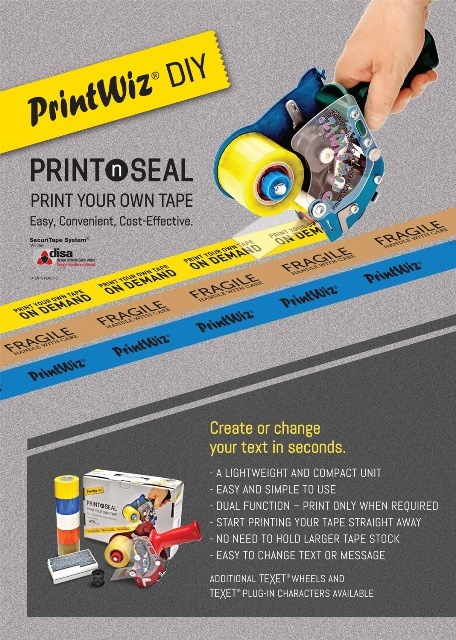 THE WORLD SMALLEST MOST VERSATILE,HAND-HELD,COMMERCIAL AND INDUSTRIAL,TAPE PRINTER / SEALER. PRINTS YOUR OWN MESSAGE WHEN SEALING A CARTON. 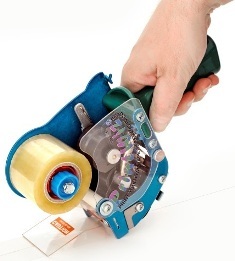 PRINTS ON THE ADHESIVE SIDE OF TAPE THUS CREATES A TAMPER EVIDENT IMPRINT IF LIFTED. TAPE RETAINERS FOR EASY START. PRINT CONNECT / DISCONNECT MODE AND PRINT ONLY WHEN REQUIRED. TWO MODELS pw-2 (for 48mm) & pw-3 (for 72mm) tapes. PW-AUTO, AN ATTACHMENT FOR MOST CASE SEALERS, AVAILABLE. * EFFICIANT AND COST EFFECTIVE. * For real SECURITY, print your own tape on application. * Insert security into your pre-printed branded tape.